Happy Friday! So pumped for next week's short week and that means we are that much closer to Thanksgiving ya'll! I hope everyone has a fabulous weekend and as for me?.... I'm DOING IT...as in....decorating for Christmas full force at the Otey household and I don't care at all that I am early this year- whew so excited! 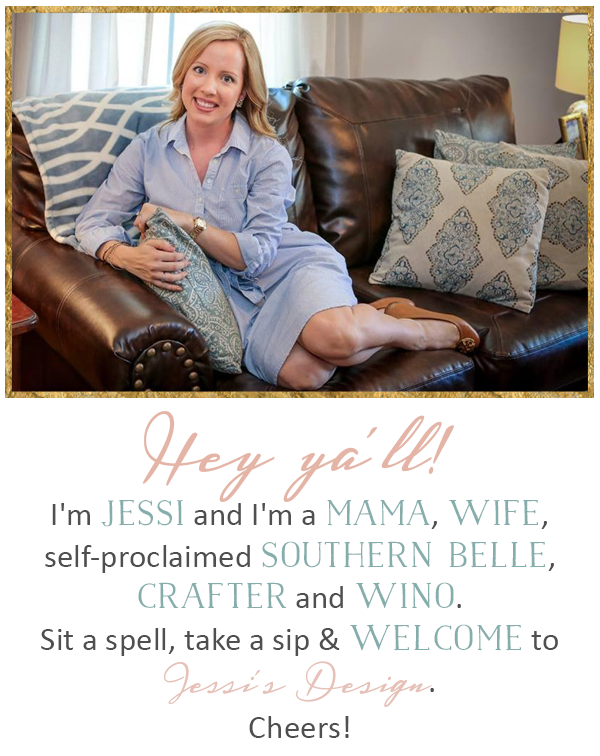 Linking up today with the usual gang of pretty ladies: Christina, April, Darci, Natasha , Amanda over at Meet @ the Barre and Karli with September Farm - join in! Need a cute idea for Thanksgiving dinner this year? 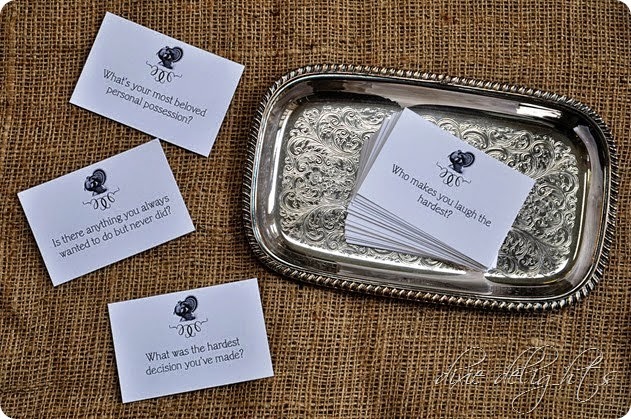 (especially if you're hosting or have littles) Over at Dixie Delights, Amanda shared some fabulous Turkey Talk conversation starter cards to circulate at the table to learn more about the people you think you know best: FAMILY! These cards are downloadable in her Etsy shop and I just love them! Ya'll know I adore J. Simp with all of my heart and this week she steals the award for my favorite look of the week! She was stunning at the Mockingjay Part 1 premiere! Gah- get it girl! So I have the day off today and I think I'm going to pop some newlyweds in just to have something on in the background...just kidding i love it!! Oh that salad looks delicious!!! Hope you have a great weekend love!! Girl, broccoli has no place at Thanksgiving dinner...unless it's covered in cheese and bacon!! ;) Those Turkey Talk Cards are TOO CUTE! I may have to check them out for next year!!! Oh, bar carts...I have a whole board on Pinterest dedicated to the perfect one. I can't wait to see your finished product! (And, I can't wait for you to be able to enjoy it!!) :) Have a great weekend! Those cards look so fun, such a great idea. I miss Jessica and Nick, they were so cute!!!!! That salad looks good...minus the broccoli, of course ;)! Happy weekend, sweet friend of mine! That broccoli salad looks super yum! I might need to try that next week (or after) for lunches! Love that you now have a diagram for your bar cart haha. You're totally set!! Jessica does totally kill it with her Christmas albums! Have fun decorating! Dannnggg Jessica is looking hot at that premier!! Get it girl!! And love her Christmas albums, totally rocking out to them this week! Have a great weekend lovely! Such a fab J.Simpson look! And definitely a great recipe for the perfect bar cart! Hope you had a great weekend, girl! Yay for decorating this weekend! I'll be doing the same and I am so excited. Can't wait to see what you do in the new house! Jess looks awesome - love that look! That salad looks super yummy too...is it lunchtime yet? Have a fab weekend girl! Jessica Simpson's legs...I die! They're too good to be true! I'm putting up our Christmas tree and starting the whole Christmas decorating process this weekend too! Pretty excited about it...but it's kind of a lot of work! Hope you have a fabulous weekend! Love love love the Turkey Talk idea!! So cute! Happy Weekend! I can't deny my obsession with Jessica Simpson either, she really is perfect!!! Hope you guys have the best weekend!!!! Can you believe I've never seen Newleyweds?!?! That dress is gorgeous on her! Can't wait to see your decorations! oh fun! I've been wanting some of those table talk cards! And dang, Jess is looking good! My favorite Christmas album ever. I know we always comment about it to each other, but man I still miss mis some Newlyweds! I used to love Newlyweds! She was so funny on it! Mmmm. That salad looks yummy! Of course Jess always looks awesome! :) yay for putting up decorations this weekend!!! Favorite Things Link-up: My List!